1199 Founding of the Monastery of Hilda by Cistercians who had been expelled from Dargun. The monastery, later called Eldena, lies south of the Ryck estuary, near the salt pans. 1250 Granting of the Lübeck Law and thus of independent self-government after the model of the city of Lübeck by the Pomeranian Duke Wartislaw III (14 May). 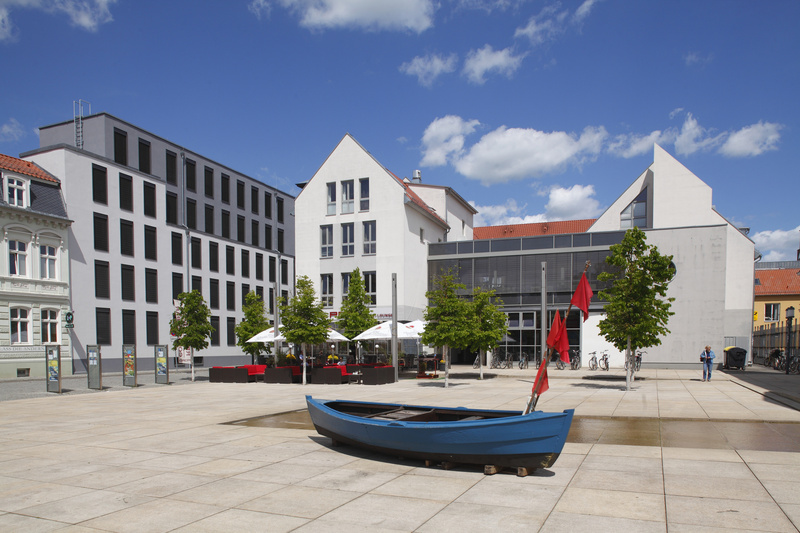 1456 Opening of Greifswald University at the initiative of the mayor of Greifswald, Dr Heinrich Rubenow. In conjunction with the founding of the university, St. Nikolai is raised to the status of collegiate church. 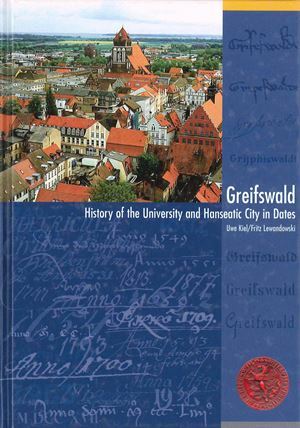 1310 – 1363 The heyday of Greifswald as a Hanseatic town; during this time the emissaries of the Hanseatic cities can be shown to have met together in Greifswald for assemblies (“Hansetage”) eight times. 1535 Following the arrival of the Reformation in Pomerania, the Monastery of Eldena was transformed into a ducal office. The entire property of the monastery fell to the Dukes of Pomerania. 1648 As a result of the Peace of Westphalia, Western Pomerania together with Rügen falls to Sweden. The city will suffer for decades more from the effects of the Thirty Years’ War. 1774 Caspar David Friedrich, the most important painter of German romanticism, is born in Greifswald. 1815 Transfer of Western Pomerania from Swedish to Prussian possession as a result of the Congress of Vienna following Napoleon’s final defeat. 1863 Connection of Greifswald to the Berlin-Szczecin railway line. Sailing experiences a final heyday right into the 1880s. 1903 Connection of the city to the electricity network. 1945 Peaceful surrender of the city of Greifswald to the Red Army, thus saving the city from destruction. 1960s to 1980s The expanding city of Greifswald becomes an economic and scientific centre in the otherwise underdeveloped region due to the arrival of large-scale industry (Lubmin nuclear power plant). 1990 The first free elections of a city parliament since 1933/the last semi-free municipal elections of September 1946. As a result of structural social and economic changes after 1990, the importance of the university to the city increases. 2005 Opening of the Pomeranian State Museum.